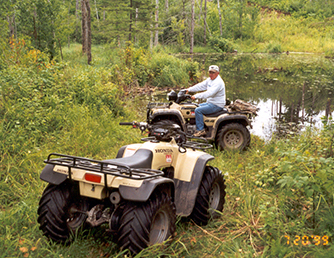 Whatever your interest, the Birchwood, Wisconsin area offers activities for almost anyone. Shopping is unlimited. There are animal parks, Fishing Hall of Fame, water parks, the pizza train, antiquing, mini golf, horseback riding, river tubing, and ATV rentals to name a few. There is a nice selection of area restaurants. You can dine or you can stop for a quick sandwich. Either way the dress is casual. If you are a golfer, don’t forget the clubs. The area has many golf courses. The closest is approximately 8 miles. You may be surprised at the quality of golf offered in the area. The courses are challenging, well groomed and not crowded. A tee time is a must for a specific time slot. During the summer and fall there will be a festival within 25 miles almost every weekend. Fall (a favorite time of year) the color is spectacular. You can enjoy it from your cabin window or on a short drive in any direction. The first weekend in October hosts the famous Stone Lake Cranberry Festival and Bayfield Apple Festival. 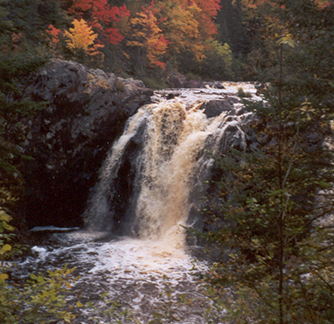 Bayfield, Copper Falls & The Mall of America all make nice day trips. We are happy to provide you with the information needed. There are two casinos within 45 minutes. Not everyone that goes to the casino is a winner but most seem to enjoy the experience and often win a little shopping money.